No doubt about it, 2018 was a good year for dresses. Whether it was Topshop's viral polka-dot pinafore, ASOS's leopard-print sundress or Ganni's checked Charron maxi, there was no shortage of chic styles for all tastes and all budgets. But 2019 is here, and it's getting ready to challenge last year for its sartorial crown, thanks to four new brands winning the hearts of the fashion crowd as we speak. While there's still plenty of appetite for big-name brands, it seems as though last year's penchant for lesser-known labels is continuing into 2019, and we are so on board. 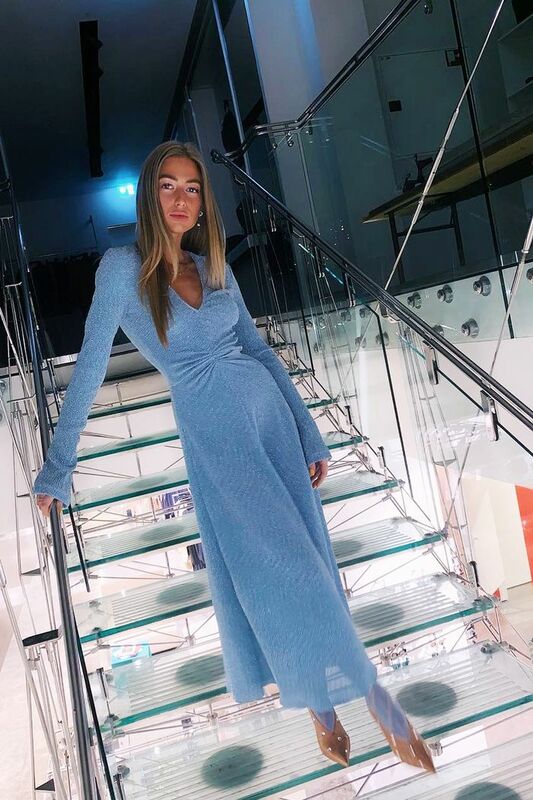 Case in point: You'll probably recognise the designs of N-Duo and Cecilie Bahnsen from fashion week or the feeds of Instagram's most stylish (they're hard to miss), but chances are the names behind the dresses won't be so familiar. Apparently the more niche the label, the cooler it is. From Rotate's party-ready cool-girl glamour to Dream Sister Jane's affordable, statement-making pieces, these dresses are perfect for special occasions, but you can rest easy knowing that they won't be replicated 10 times over at the next wedding and feel sufficiently smug that only the most discerning eye will be able to identify what you're wearing. Scroll down to see four dress brands you need on your radar this year. Rotate by Birger Christensen was born from a collaboration between Danish influencers Thora Valdimars and Jeanette Friis Madsen and the Copenhagen-based concept store. Their first collection is inspired by '80s partywear: Expect big shoulders and plenty of attitude. Launched in 2014 by Natuka Karkashadze and Nina Tsilosani, N-Duo's dress designs have been snapped up by the likes of Eva Chen and Reese Blutstein thanks to their modest yet fashion-forward aesthetic. We have our eye on the Dance Through the Meadows Balloon Sleeves Midi Dress for spring. The designs of LVMH Prize finalist Cecilie Bahnsen are seriously distinctive, and their voluminous silhouettes and whimsical details could easily be picked out of a lineup. Bahnsen's smock dresses in particular have won the hearts of the fashion crowd, and come in a range of fabrics and colourways. London-based brand Dream Sister Jane is our go-to for affordable statement dresses. Vibrant and eclectic, its pieces are inspired by vintage designs—let's just say these aren't for minimalists. They offer a new capsule collection every six weeks so you don't need to worry about running out of ideas.